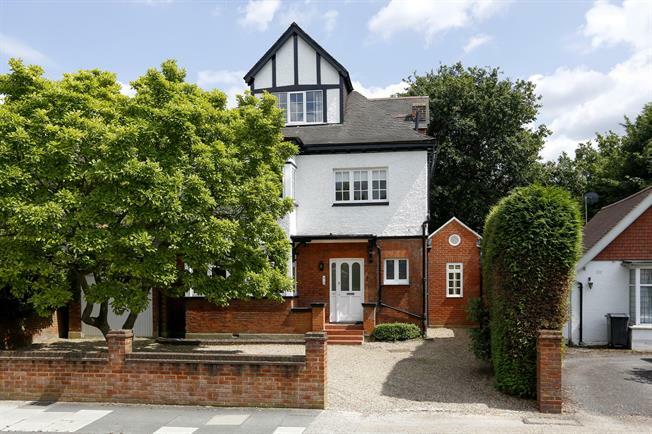 5 Bedroom Detached House To Rent in Surbiton for £8,925 per Calendar Month. SHORT LET - ALL BILLS INCLUDED Beautifully presented five bedroom detached house situated on a prime residential road in Surbiton. This wonderful family home benefits from exceptionally spacious accommodation arranged over three floors including a large reception room with wood floors, dining room, family room, study and fully fitted eat-in kitchen with range cooker. The property further benefits from a fabulous garden with summer house, garage and off street parking.